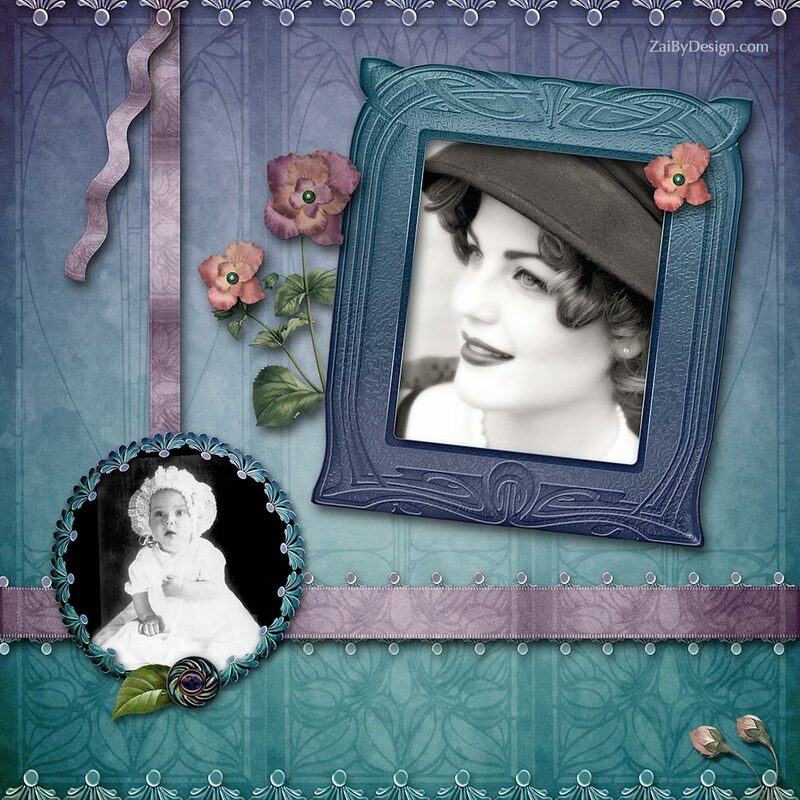 Home Page | Digital Scrapbooking Layout Ideas | Besties from the Beginning! Best friends have a special kind of magic all their own. If you're lucky, you get to know them for a lifetime! 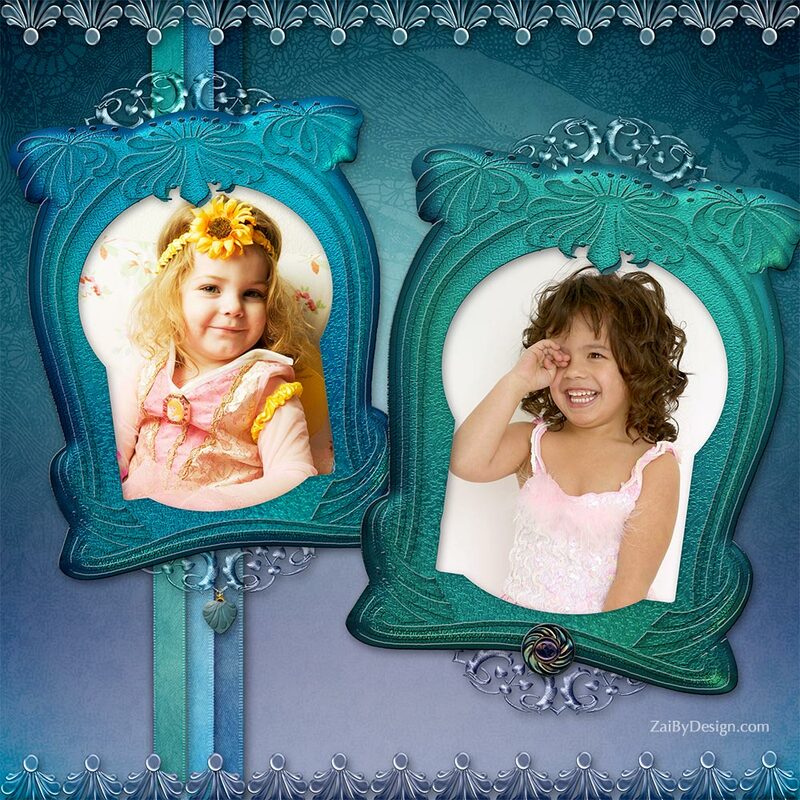 This special layout uses pieces from my Nouveau & Glass Collection to add that special magic to a visual display of two young friends on dress-up day. The ribbons and glassy border strips come from Vol. 5 - Ribbons & Trim. 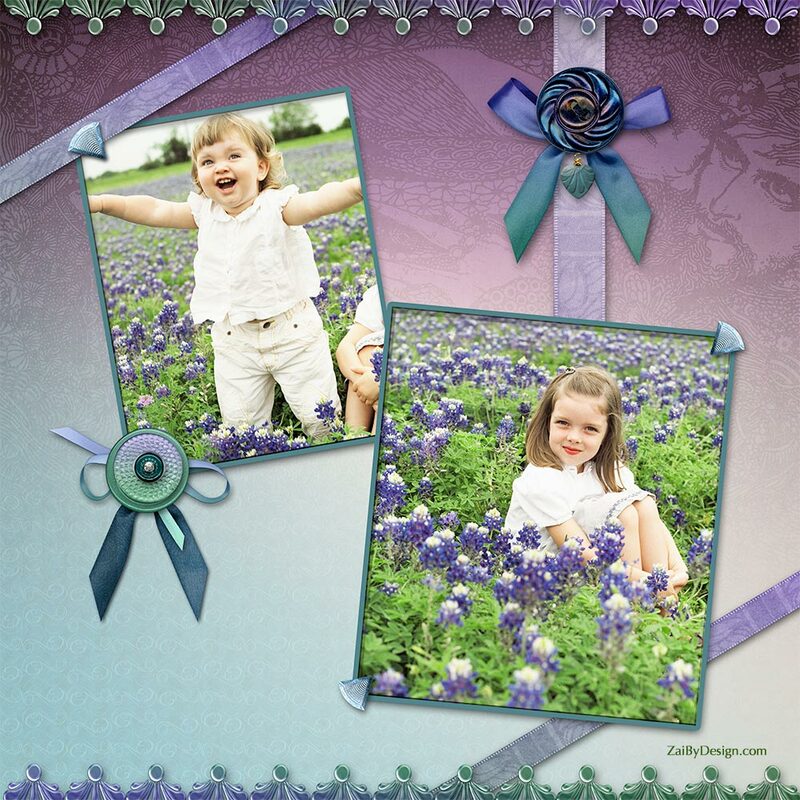 The photo frames come from Vol. 4 Fluers & Frames and the dark swirl button, and hanging heart come from Vol. 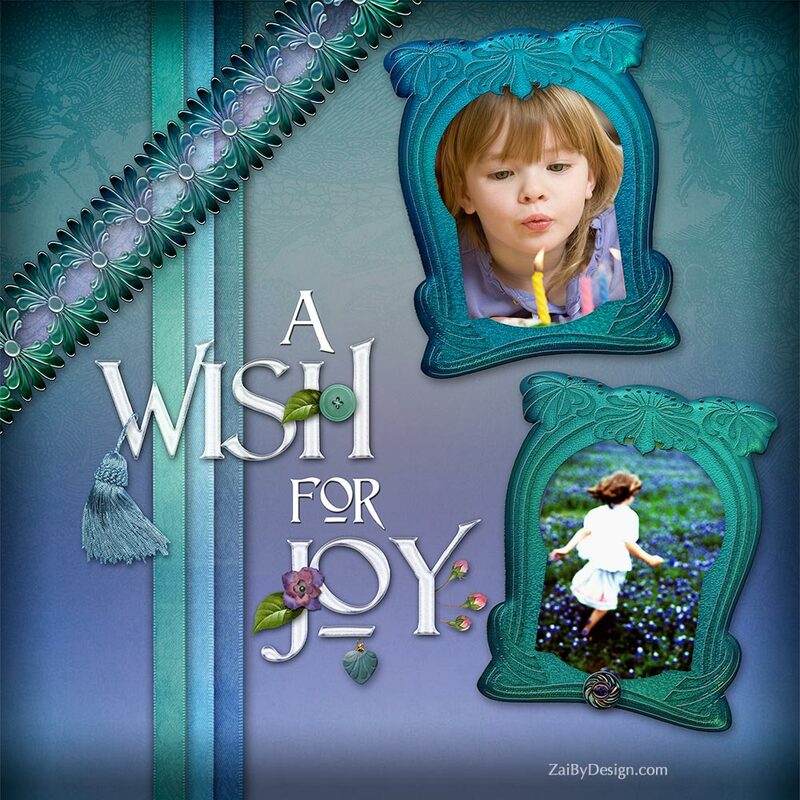 3 - Trinkets & Tassels. The paper comes from "Vol. 1 - The Papers." 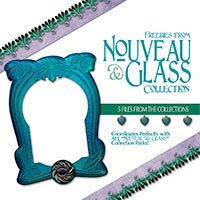 The entire 5 volume set is also available at a discount in the Nouveau & Glass Bundle.